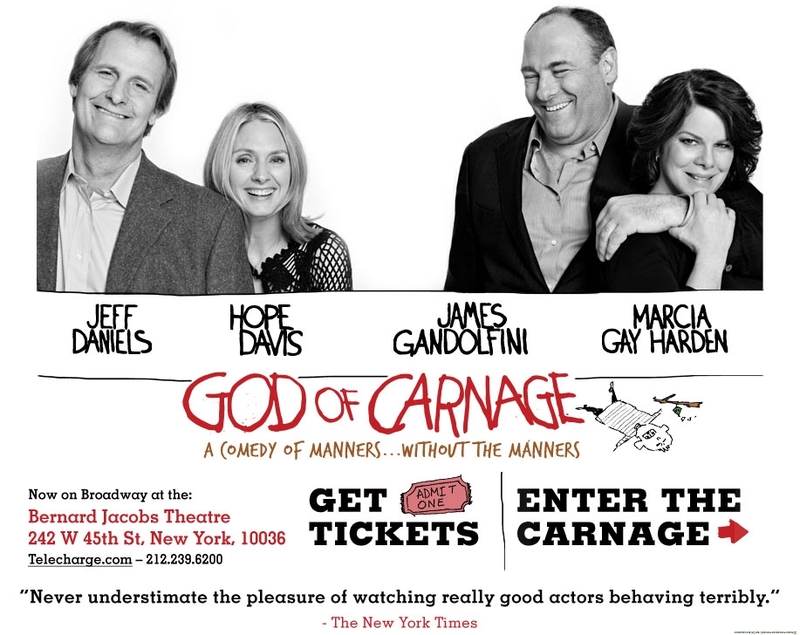 Yasmina Reza’s God of Carnage on Broadway featuring James Gandolfini (Tony Soprano) in a minor role. More seriously, this is a play with four actors and Jeff Daniels had the hardest part of all, having to follow multiple evolving story lines. It was quite funny and, sadly, rather true. Dieu du Carnage was published on April 18, 2009 .